Hi friends! Have you seen a kiddo write "Proceed with Caution" after checking the conditions for an inference procedure? 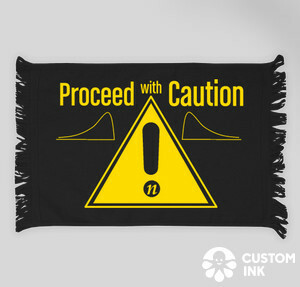 This super fun Stats towel will look great in your classroom and provide a fun teachable moment!